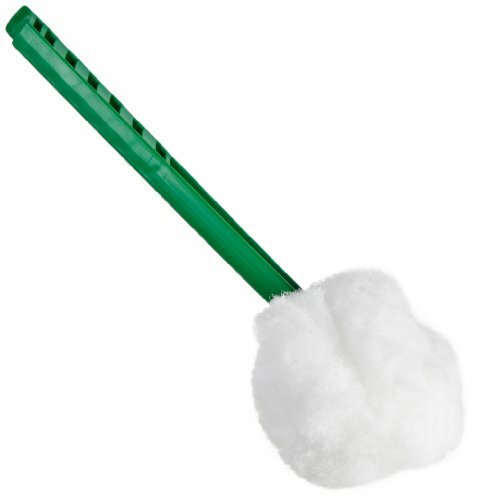 Duralon toilet bowl mop have full 4-1/2" mop head. Acid-resistant polypropylene strands. 12" Strong I-beam plastic handle, polypropylene. Green color. Measures 12" length by 4-1/2" height.